Popsicle for us, what about dogs? 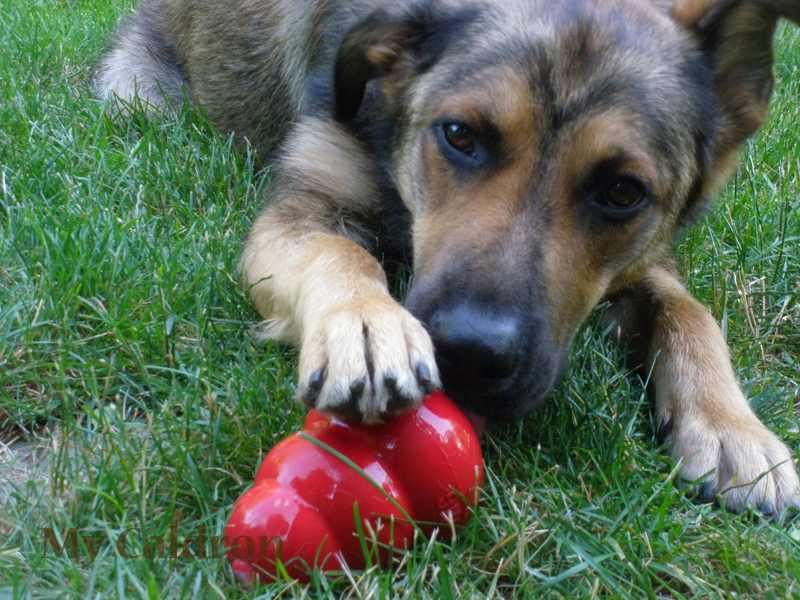 I have this delicious, clever thing made of Kong and frozen broth – thanks to my dog’s trainer! So easy to make, you just need to give it 7-8 freezing time. Take a KONG (appropriate to your dog’s size). Using a dab of peanut butter or cooked meat, seal the smaller hole, then turn it upside down and place it in a small bowl and fill the KONG with chicken broth. You could throw in bits of treat to make it more exciting for your dog. 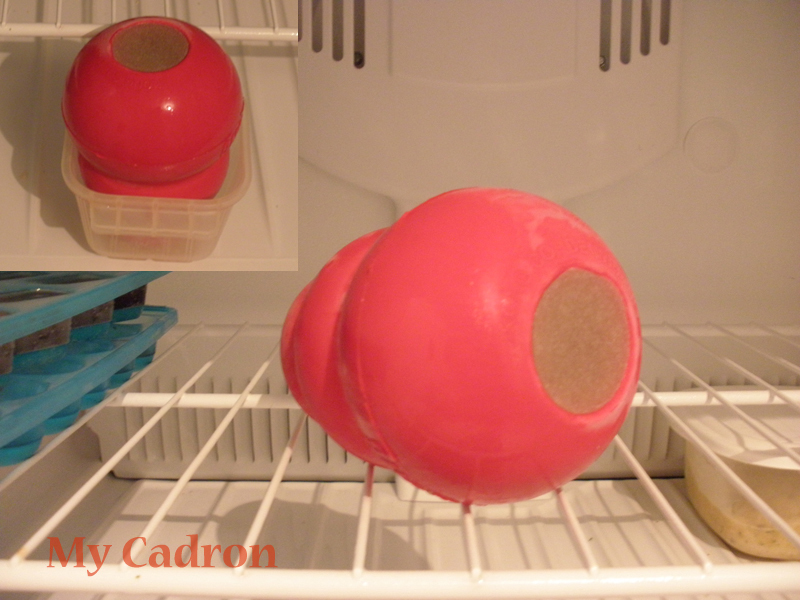 Place the bowl / KONG in the freezer overnight, or long enough to make the liquid completely hard.